Sometimes it’s challenging to just “be”, when we’ve been taught to “do” for much of our lives. That’s one of the reasons why I love Reiki. It involves the state of being rather than always focusing on doing. Reiki is a respite for me, whether I’m giving or receiving it, because I’m in a state of allowing and being. As with all things, balance is key. It is the same with giving Reiki. It’s a subtle blend of being and doing. The emphasis is on being while in an allowing state of awareness. For lots of years, so much of my own life was spent with the “doing-ness” of setting goals and making them happen, going to school, working on projects, getting the next best job. And all of it I did at a pace that resembled a runner on a racetrack. I was all go-go-go! But where was I going? And why did I have to get there so fast? Many of us were taught that we need to compete with others as if we are all in a race to get to some predetermined finish line. However, Reiki has taught me that slowing down and going within is the “there” I had been trying to get to in my earlier years. From that place within, in that state of being, springs forth the ideas and the action steps to lead me forward into the physical day-to-day world. And none of it has to be done in a hurry. 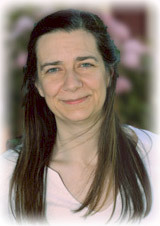 In my Reiki classes, many times students ask, “When I’m giving Reiki, what should I be thinking?” I tell them, “Nothing. Just be and allow.” Giving Reiki is a lot like meditating on behalf of your Reiki recipient. If giving self-Reiki, then it’s a lot like meditating for your own healing. Before we give Reiki, we set our intention for the very highest and best for the Reiki recipient, and we call upon Higher Power to help. Then while giving the Reiki, it’s all about being the vessel for the Reiki to pass through us: from Source, through us, to the recipient. We never take on the recipient’s energy and we don’t give away our own personal energy. While we are being the vessel, our minds may wander and then it’s a good idea to bring our focus back to being in a non-thinking state. Sometimes to help bring our attention back, we can silently say something like “love and light, love and light, love and light”. This is just one example of a re-focusing technique that allows us to once again be the neutral vessel for the energy to flow through as we give the Reiki. We may move our hands above the body in prescribed positions, yet even as we’re doing this, we’re really still in a state of “allowing”. So, it’s a gentle balance of being and doing. Being in a state of allowing instead of controlling the session is more like meditation than feeling like we have to “do” something. It really is more of being the Reiki. A gentle embodying of the Reiki. Giving Reiki is a lot like holding the space for the energy to work for the highest good of the recipient. In our daily lives many of us hold the space for others. We may listen patiently to an upset friend tell her or his story. Sometimes just listening in silent support is most appreciated by a friend. We can be there without judgement and without even “fixing” the problem. When we give Reiki, we hold the space without interfering, and then we allow the Reiki to flow through us. In Reiki, it’s the practitioner’s job to just be the vessel for the energy to flow to the recipient. It isn’t our place to “fix” anything or to diagnose. We simply honor where they are and let the healing energy flow, trusting that re-balancing will take place as it’s needed for the recipient. The universal energy always goes to where the recipient needs it. Many of my Reiki students have found that the more they practice self-Reiki, the easier it becomes to hold the space and be the vessel for the energy while giving Reiki to others. This also helps them to be more centered and have inner peace on a daily basis. It can be a challenge in today’s world to make time regularly to practice self-Reiki or to have some quiet time. Like everything we want to do, if we really want it, we can usually create some time for it. Many people enjoy self-Reiki before they go to sleep. They find it relaxes them and helps their dreams to be uplifting. They also feel more refreshed in the morning. It’s a good time to come into balance with a little more “being” in a mindful way. So if the laundry has to get done, or that report for your manager is due, try to find a little regular quiet time for yourself too. It will help you to be fully present for yourself and in turn, fully present for all of your Reiki recipients, your loved ones and all those you interact with in your daily life. Sometimes I get caught up in the fast pace of life and the doing. Then I remind myself to stop and breathe. I make room for balance in my schedule and continue the self-Reiki sessions. It took me a while to realize there is no race, except for the one I was making up in my own head, and that we’re all in this together, to share life joyfully with one another. Gratefully, Reiki continues to teach me about the beneficial balance of being and doing.